With tools for data capture and linking, data labeling, import/export of SHP files, polygon topology creation and analysis, and more, Carlson GIS is a true GIS “Swiss Army Knife” for the surveyor or engineer. The routines for managing aerial images enable users to improve the quality of the geographic positioning of their designs. 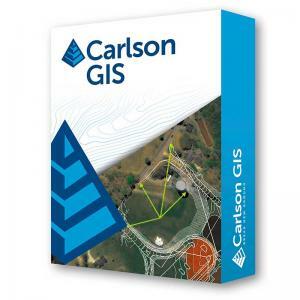 With Carlson GIS’ powerful GIS automation, users can input, edit, label, inspect, and report GIS data to entities via simple tools, in addition to obtaining topographic and planimetric features from county databases.